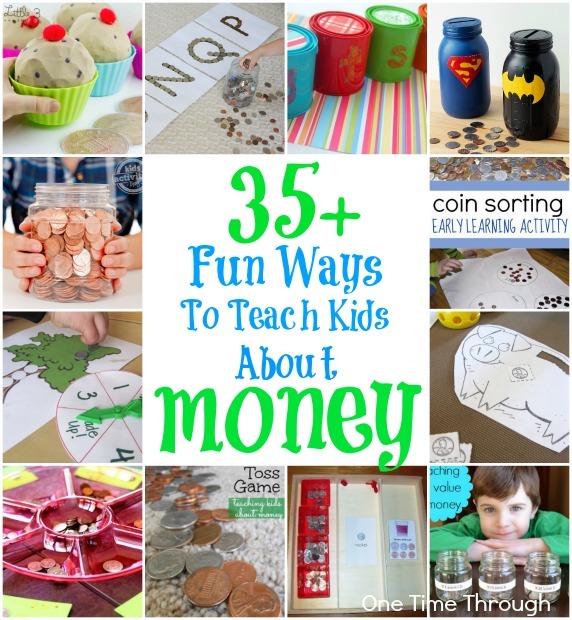 This week I am featuring 35 fun ways to teach kids about money! I’ve found activities to help kids become familiar with the purpose and value of money, mathematical activities with money, and tons of suggestions for helping kids start to learn to manage money. Why Teach Kids About Money? After hearing parenting expert Barbara Coloroso talk about the importance of teaching kids to become responsible for themselves and their money from a young age, I decided I wanted to get an allowance started for my son, Onetime. That being said, I didn’t know where to begin! All I knew was that I wanted the money to be given free from obligation. In other words, I didn’t want it to be attached to completing chores or tasks or used as a reward, but rather instead for the sole purpose of learning how to manage money. So – I did my research and have compiled an amazing list of resources from parents who have already been there. I hope you enjoy reading through these ideas as much as I did on your route to raising money-smart kids! Kids and Money: It’s All About Respect is the perfect place to start when thinking about how you are going to approach the topic of money with your kids. Tips on Talking to Your Kids About Money also has a great post with things to think about right from the start. Planet Smartypants has some great tips for introducing money to Preschoolers along with a fun Math Money Box activity. This Preschool Money Games post includes a fun idea for a pretend play restaurant. Teaching Children the Value of Money from Childhood 101. Kids can Learn About Money through pretend bakery play. 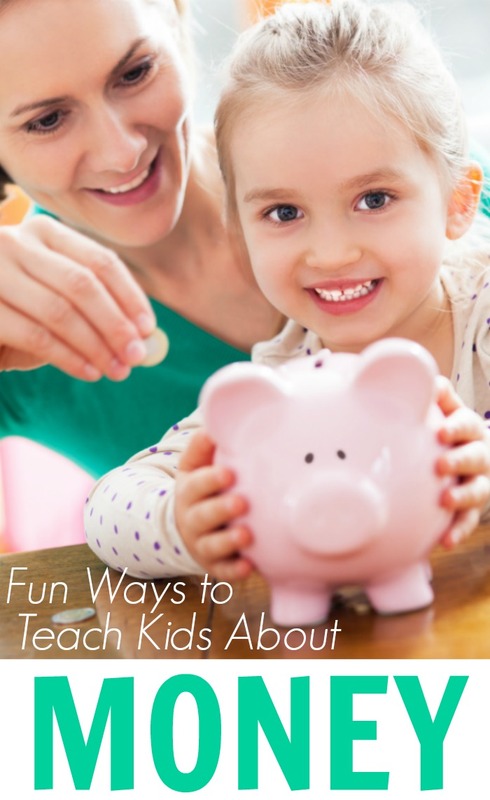 Find some great everyday teaching suggestions in 10 Ways to Teach Kids About Money. Help your kids learn to sort and identify the different coins using this fun sorting activity that also helps teach beginning letter sounds. This simple Coin Toss Game is a great way to introduce coin names and can be adapted for different ages. Montessori Inspired Activities for Teaching About Money has a fun activity that gets kids looking closely at coins and bills while doing a bit of science! Find a Counting Money activity and lots of fun Money Poems and Songs with free printables. Check out this Simple Coin Math Lesson for a way to help your child sort and count money. Use this Dollar Tree activity with kids to help them understand how many quarters are in a dollar, etc. Use Wikki Stix to teach a variety of money concepts. Sing the 5 Currents Bun Song and make an adorable craft and large coins to go along with it. Find this neat Coin Sorter Game activity for helping kids identify the value of coins while they sort. Teaching About Money and Savings. 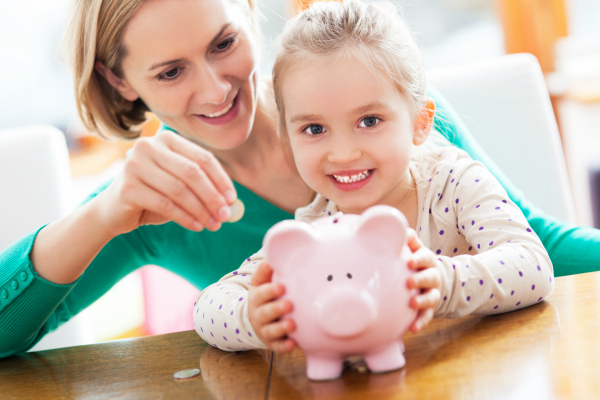 Read about the ups and downs of allowing kids to Manage Money. The ABCs of Teaching Kids About Money. Thinking of starting an allowance? 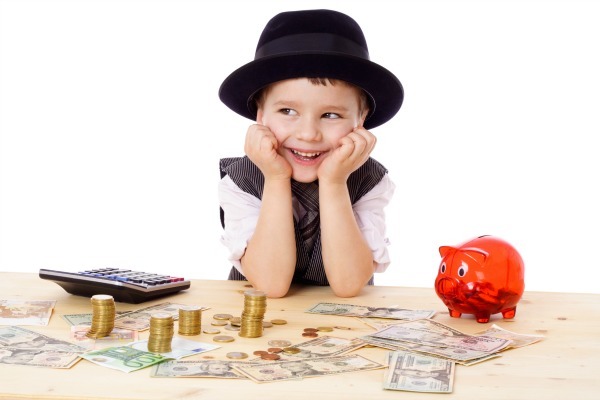 Check out these tips at Saving Up: Children and Allowance. Try this Get Well Store coin matching activity that’s a part of a Montessori unit on the immune system. Help your child make a Money Bank with instructions. Or make some cool Mason Jar Superhero Banks. Money Management skills has important things to consider when helping kids learn to manage money. I especially like the part about being honest with kids. DIY Money Buckets discusses a way to start introducing the idea of taxes to young children as well as shows you how to make some adorable money management “buckets” with your kids. That’s it for today’s money resources. I’d love to hear what you think about these ideas and if you have any kind of system that works well for your kids. Check out other features from my fabulous blogger friends! Love this! So much great information!